Ink Master | Season 5: Rivals | Jason Clay Dunn. Promotional fotografias for season 5. HD Wallpaper and background images in the Ink Master club tagged: photo ink master season 5 rivals tattoo artist contestant jason clay dunn. 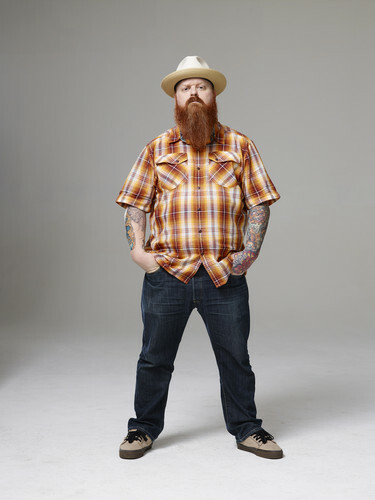 This Ink Master photo contains tirar chapéu de aba, chapéu da borda do snap, chapéu de aba snap, fedora, chapéu de feltro, homburg, stetson, mole, trilby, feltro, barqueiro, livorno, panamá, marinheiro, skimmer, chapéu de palha, boate, leghorn, chapéu, palha, velejador, and chapéu panamá.